It certainly looks like at least phase two should start soon - fingers crossed for phase 1 with tower! think, another 5.5 metres and we'd actually have a structure taller than swansea!! still we'll have approx. 10 over 80metres so our skyline will be pretty good! 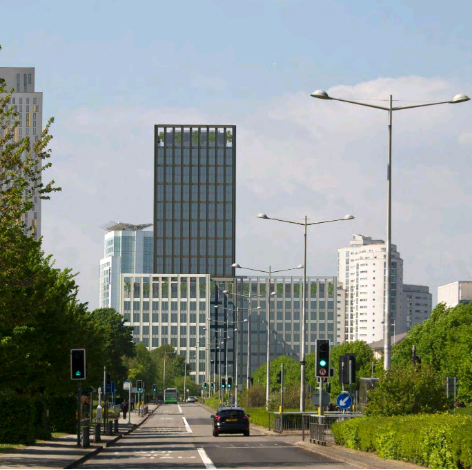 Wouldn't it be great to hear something positive re watkin jones tower!! It looks like No4 is pretty much fully let. The company has leased 40,000 sq ft of office space on the second, third and fourth floors of the 96,870 sq ft building fronting Tyndall Street, on a 15 year lease. A month ago law firm Geldards signed to take 30,000 sq ft of office space in the building under construction by property development company JR Smart. Such a shame that the student accommodation next door looks so hideous. It must be up for vote as the ugliest building in Cardiff. I hope its not finished, because the ZENITH writing on each side of the tower is atrocious. It would have to go some to match Ty Pont Haearn in the ugliness stakes. Or the Westgate Street multi-storey car park! I don't find Zenith particularly ugly. It's just very bland and a really strange colour. I quite like the shape of the roof, but the lettering and colour are far from great. Also, is it just me or are they taking forever to finish off the top? It's quite an interesting shape, but the choice of the bile-coloured cladding is genuinely incomprehensible. On balance it's not a positive addition to the Cardiff skyline. It's the colour and lettering that is completely atrocious. Once John Street gets underway and completed this tower will be a massive disappointment smack bang in the middle. It's a real shame. It would be a shame though because this really is a major development that gets too little attention.